UPDATE: Rickisha Alexander has been found. The Royal Grenada Police Force thanks the media and the general public for their assistance in locating the 16-year-old. 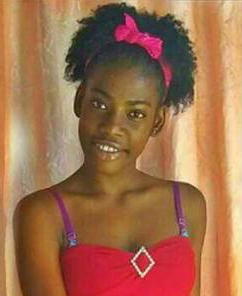 Police are seeking the assistance of the general public in locating Rickisha Alexander, 16 years of Tivoli, St Andrew. Alexander left home on Monday, 26 March 2018 about 12:45 pm and has not returned since. She is approximately 5 feet in height, brown skin in complexion with black hair and brown eyes. Alexander was last seen wearing a white jersey with blue writing, white jeans with dots and black Jordan slippers. Anyone seeing Alexander or has any information about her whereabouts is asked to contact Grenville Police Station at 442 7224; CID at 440 3921; Police emergency at 911; police hotline at 444 1958 or the nearest police station.